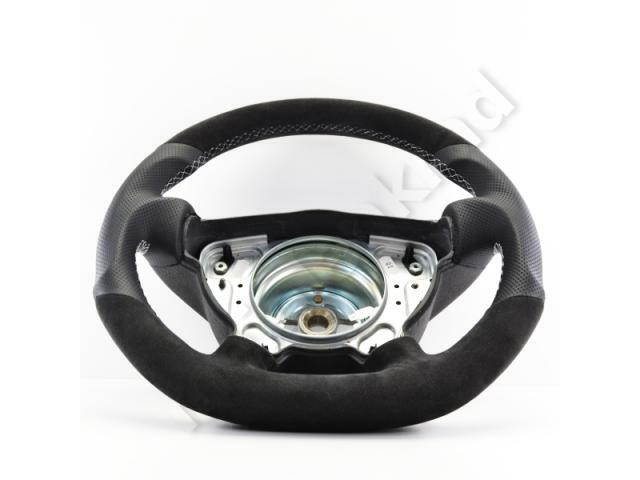 Product#: 1138a10.3 Options: Sport Grip and straight lower part of wheel. 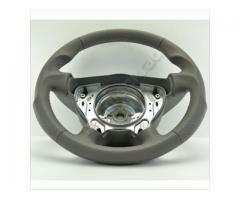 Color: Grey/Alcantara Stitching: White Steering wheel for Chrysler Crossfire. 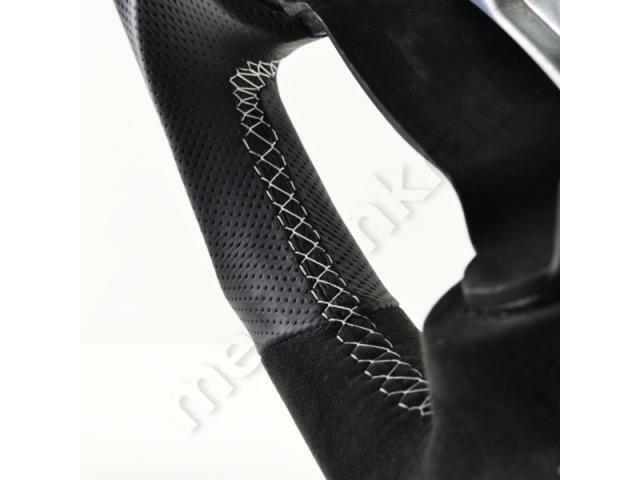 The “MeinLenkrad” steering wheel is made up by a combination of structured and perforated automotive leather. 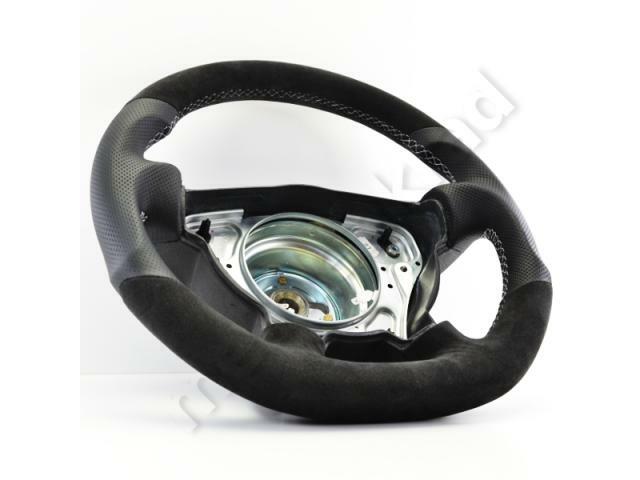 Options available is a sportier grip and a vertical horizontal line dividing at the top and bottom to get a greater view of steering wheel center and stitching. 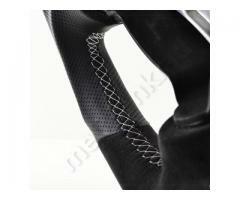 Standard is black stitching but can be customized to your liking. 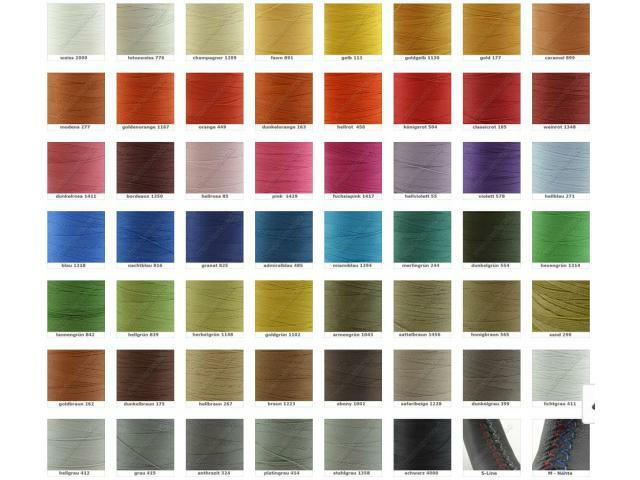 Please see photo for options and all color codes. 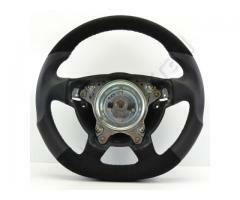 We offer two options in order to get this product. 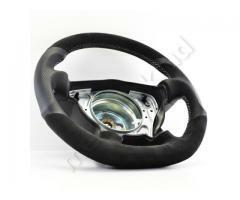 Option A: Ship us your steering wheel to work on. 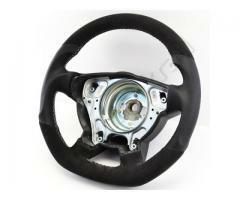 After having paid us, you will ship us your steering wheel for us tranform and work on. When done, we will return it. Shipping in Germany is not charged. 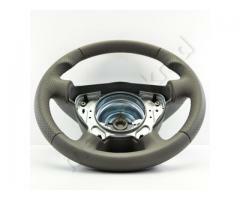 A fee for international shipping may occur. 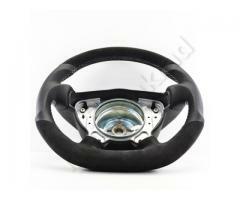 Option B: Buy a steering wheel from us directly, install it and return your core steering wheel. 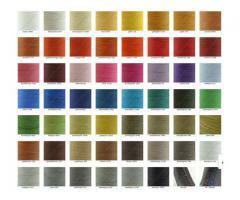 Feel free to contact us if you have any further questions. 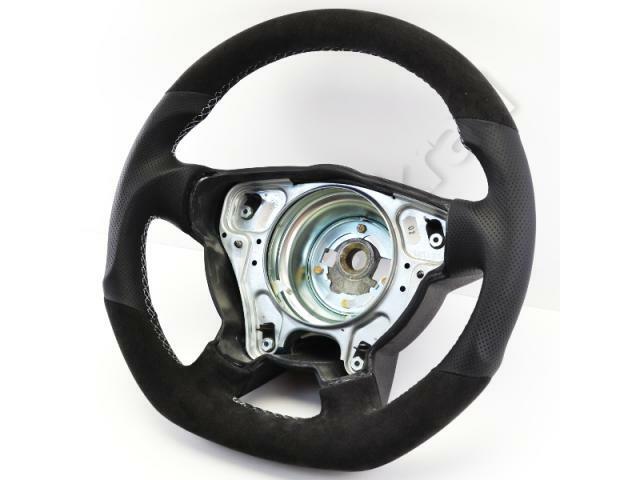 Note: Do NOT send us the airbag, paddles or anything else.